A Native Voice Films & Catherine Bailey Ltd Feature Film in Development. 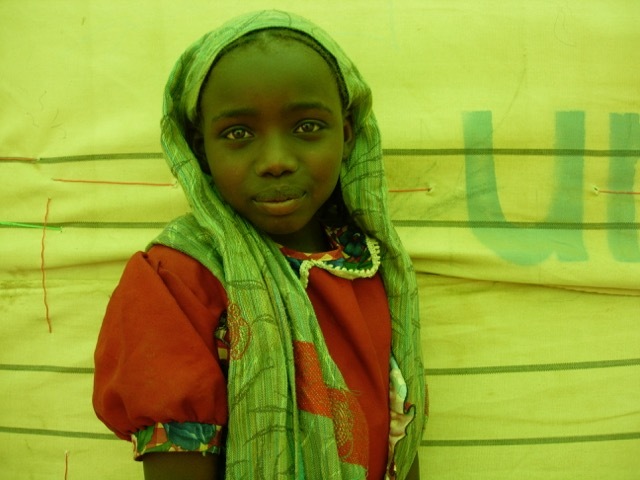 There is to date no film dealing with the extraordinary personal stories coming out of Darfur. There is only news footage – most of it shot by Native Voice Films. Now, Native Voice Films, together with critically acclaimed feature producer Catherine Bailey (Producer of David Cronenberg’s Spider), have developed a feature film script and trailer. In March this year, director Phil Cox returned to Chad to workshop scenes and a script with refugee children he had previously met during the fighting in Darfur in 2004. Again in a war zone, in dangerous conditions, he and Brendan McGinty used a hand held camera to capture some moments from the lives of these children (which you can see on this website). The film we have now written is inspired by the true stories of 4 refugee children. Their epic escape across the desert and their determination to re-unite their family eventually leads them to Europe. This film is a not just a childs journey through the world’s greatest humanitarian disaster, it is also a unique insight into children’s minds and the alternative realities they create when caught up in conflict. The politicians said there would never be another Rwanda but we have seen what is happening in Darfur and this is just as horrifying. Against this backdrop and with Native Voice’s access to Dafurians representing themselves and their own dramatic stories, a universal and powerful cinema film can be made even whilst the conflict is still raging.